Well, here we are. The season of pumpkin everything is right around the corner. I walked into the grocery store yesterday and they already had pumpkin ice cream and pumpkin flavored coffee lining their shelves. Seriously? It’s still August, people! OK, I’d be lying if I said I wasn’t excited about seeing all of the pumpkin products starting to make their debut. I love the fall season and I love pumpkin spice foods, body care products, and air fresheners. It’s my thing. Many of the pumpkin-themed products out there are quite unhealthy, that is the downside. However, there is a natural substance called pumpkin oil and it is anything but unhealthy. In fact, it is really good for you in a variety of ways. There are a lot of uses for pumpkin seed oil and we are going to take a look at some of them in this article. Before we get to the uses, let’s check out some of the benefits, shall we? If you are a carb-watcher, then you’ll be happy to know that pumpkin seed oil contains zero carbohydrates. Now, pumpkin and pumpkin seeds do contain some carbs so please keep that in mind when consuming them. However, the glycemic index of pumpkin seed oil is 0%. So, pumpkin seed oil is all fat. This may scare some people, but I assure you that this oil is comprised of the good kind of fat known as “polyunsaturated fat”. Pumpkin seed oil is really high in omega-3 and omega-6 fatty acids. These fats are known to lower your LDL (bad) cholesterol and help ward of heart disease. There is also a minimal amount of monounsaturated fat in pumpkin seed oil. These are considered to be good fats as they encourage your HDL (good) cholesterol levels to increase. In addition to healthy fats, pumpkin seed oil contains phytosterols which are a lot like the body’s cholesterol, structurally. Consuming pumpkin seed oil can help reduce the absorption of cholesterol resulting in a reduction of your LDL numbers. Based on a study that was published in Evidence-based Complementary and Alternative Medicine, men who consumed 400 mgs of pumpkin seed oil on a daily basis saw an increase in hair growth. The test subjects took the pumpkin seed oil for 24 weeks. The hair increase was by about 40%. More research needs to be conducted in this area, however, a pilot study conducted on 35 women going through menopause found that the women who took pumpkin seed oil showed an increase in HDL cholesterol, decreased blood pressure, and less symptoms associated with menopause. Published in the Journal of Traditional and Complementary Medicine, a study conducted found that when test subjects consumed pumpkins seed oil for 12 weeks, there overactive bladder symptoms decreased. 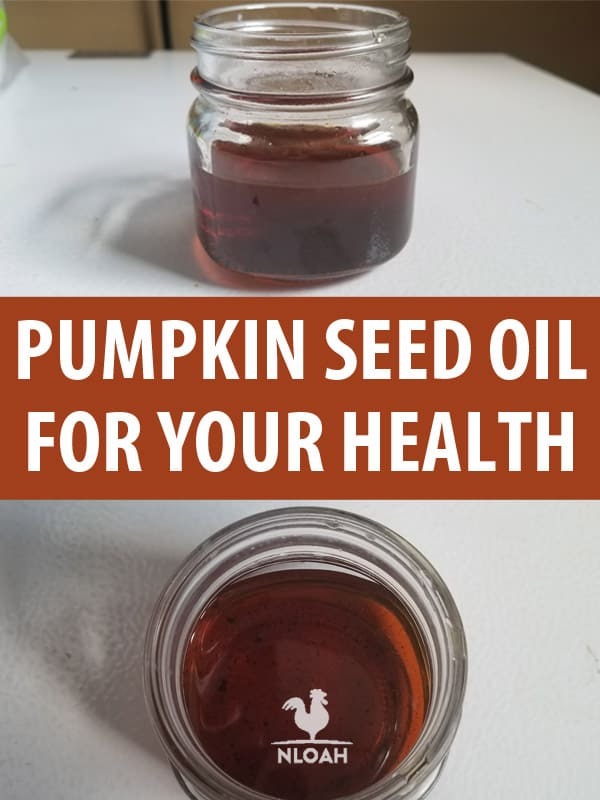 The Journal of Medicinal Food conducted a study and found that pumpkin seed oil may be able to lower blood pressure as well as provide other benefits to cardiovascular health. There are so many ways you can incorporate pumpkin seed oil into your life both internally and externally. In an era where coconut oil is all the rage, pumpkin seed oil is starting to make its debut. This amazing oil is high in vitamins A and E, zinc, omega 3 and 6 fatty acids, and contains a ton of antioxidants. You’ll especially love how pumpkin seed oil feels in your beauty care products. Place the beeswax in a double boiler and melt over medium heat. 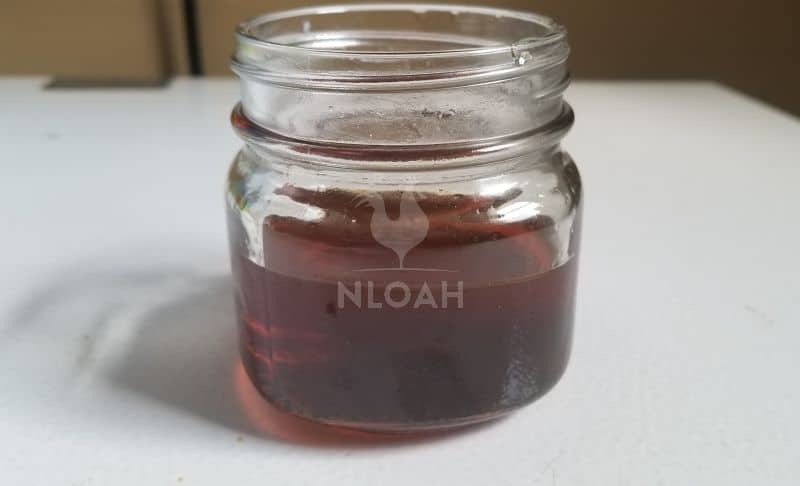 The wax should look clear when completely melted. Now, add the butters and coconut oil to the double boiler. Continue to heat over medium heat and stir frequently until all solids are melted and clear. Next, pour in the sweet almond and pumpkin seed oils and continue to stir and heat for another few minutes. Pour the contents of the double boiler into a glass bowl. Wait until the oils have cooled slightly and then add in your essential oils. Then, place the bowl into the refrigerator so that it can cool. Every few minutes you want to mix the contents of the bowl with a whisk and scrape the sides of the bowl with a rubber spatula. 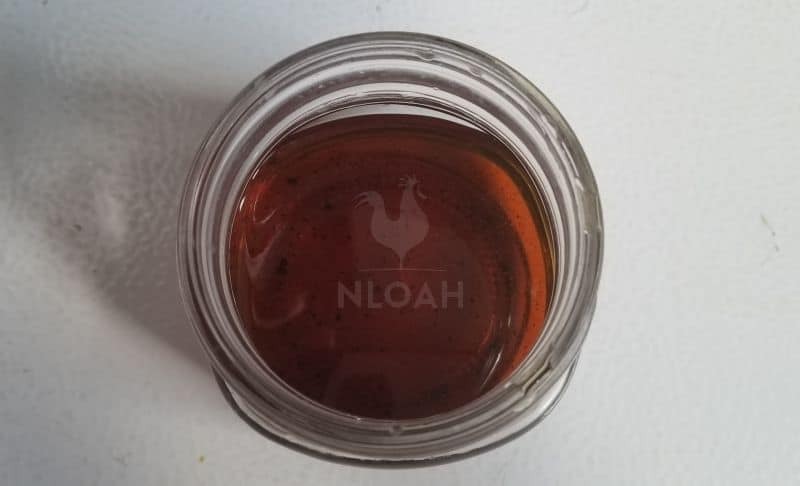 Continue this mixing and cooling process for about 40 minutes to an hour or until the liquid is no longer clear, hot, and is dense in consistency. Transfer the whipped lotion to a few half pint mason jars for storing. Place the castor oil in a small bowl or cup. 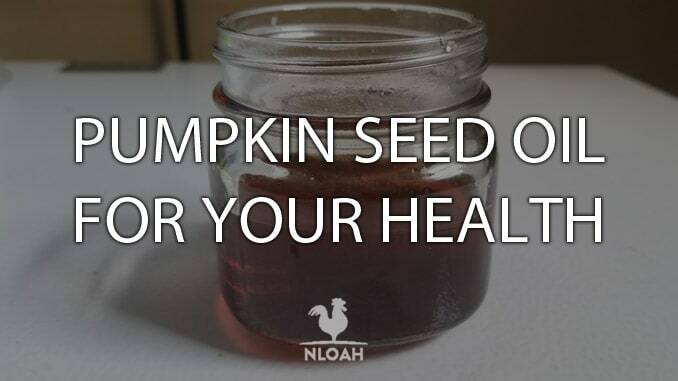 Puncture the pumpkin seed oil capsule and express liquid into the bowl with the castor oil. Add in your drop of rosemary essential oil. Mix the liquids with your fingers and apply to damp hair at the roots. Wrap your head in a warm towel and allow the oils to sit on your scalp for 20 minutes. Rinse with cool water. This recipe is for a single use. You can make more and store the oil in a darkly colored bottle for future use. Mix all of the ingredients together in a small bowl and whisk to evenly combine. Using a funnel, transfer the oil to an amber-colored bottle and store in a dark place. If you are wanting to sue pumpkin seed oil internally for health purposes you can purchase the oil in convenient 1000 mg capsules. However, the oil is also available in liquid form and you can take it by the teaspoonful. You must keep liquid pumpkin seed oil in the refrigerator, though. Many folks find that taking pumpkin seed oil with a meal works out best for them. Consuming the oil on an empty stomach and make you feel sick. Plus, taking the oil with food helps your body better absorb the nutrients. Most people take at least 1000 mgs of pumpkin oil per day for a therapeutic benefit. However, there are folks who prefer to take 4000 mgs, twice a day. This solely depends on what your reasons are for taking pumpkin seed oil and your health situation. Feel free to ask your doctor his or her opinion on the matter, too. You can find pumpkin seed oil supplements through a variety of vendors and health and wellness stores. Please know that pumpkin seed oil is not a miracle cure-all and should never supersede your doctor’s advice. Don’t stop taking your medications and replacing them with pumpkin seed oil. We’ve covered a variety of ways pumpkin seed oil can be good for you both internally and externally. I think my favorite way to sue pumpkin seed oil is on my skin. Disclaimer: neither the author nor this website is responsible for the misuse, injuries or side effects as a direct or indirect result of applying the advice in this article. The contents of this article is for information purposes only. Before you employ it, consult your physician. Jessica Faidley is a stay-at-home, work-from-home, homeschooling mom who loves to teach her children how to live off the land. As a certified aromatherapist, she enjoys helping folks use essential oils safely and effectively. Herbalism is another niche that Jessica has studied. Keeping herself and her family healthy through a natural approach is her way of doing things.